For the cost of a can of spray paint & a white canvas from the dollar store you can create gorgeous, inexpensive home decor for your walls. I absolutely love this but I’m not sure where I’ll put it. At the moment the aqua color doesn’t go with anything in my home so I’ll have to figure something out. 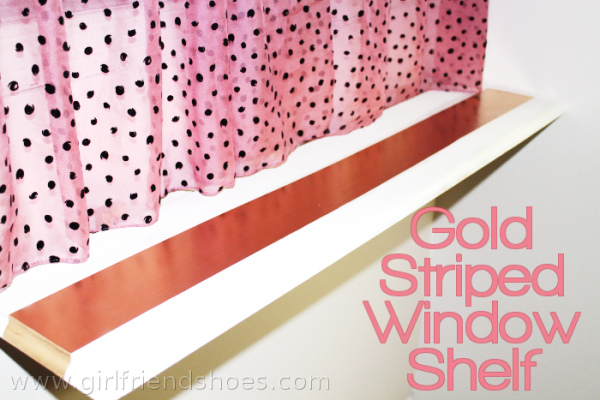 Add a gold stripe to a shelf to add instant charm to any room. I had this shelf for a long time and it was an ugly brown color. I painted it white and thought that it needed something extra so I added a gold stripe down the middle. 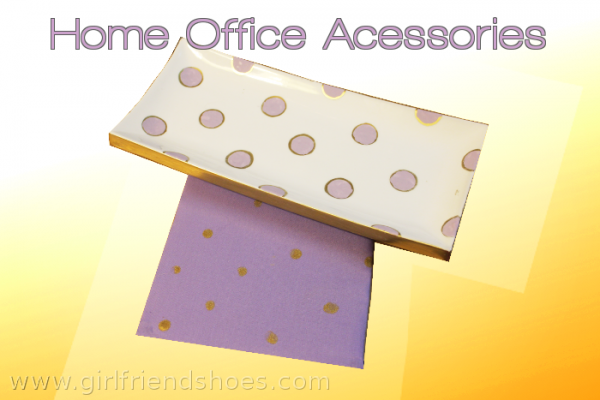 Beautify your work space by adding bits & pieces of gold to the area. Not only do I have a gold desktop but now I have cute gold polka dots too. Gold seems to be the trend right now and I can understand why, its beautiful and goes with anything. I’m definitely loving it and think I’ll continue using it forever and ever and ever. Gold & Pink project next maybe. 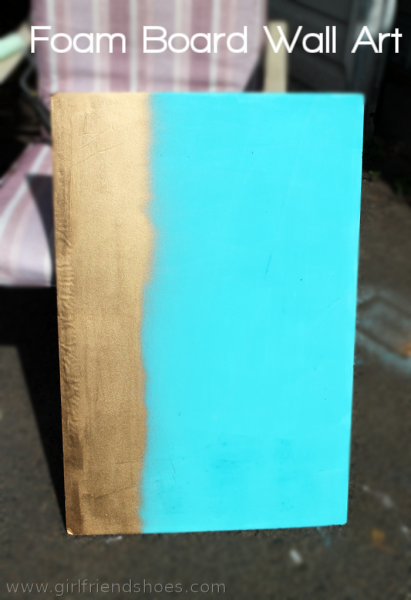 I’ve never tried gold leafing, not really sure how to do it to be honest. I’ll put that on the list too. 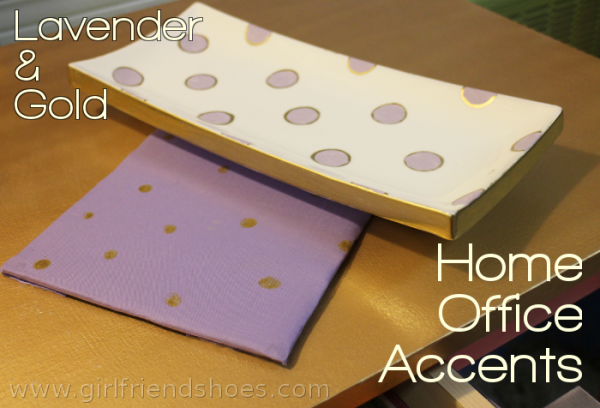 Have you done any gold D.I.Y. �projects lately?